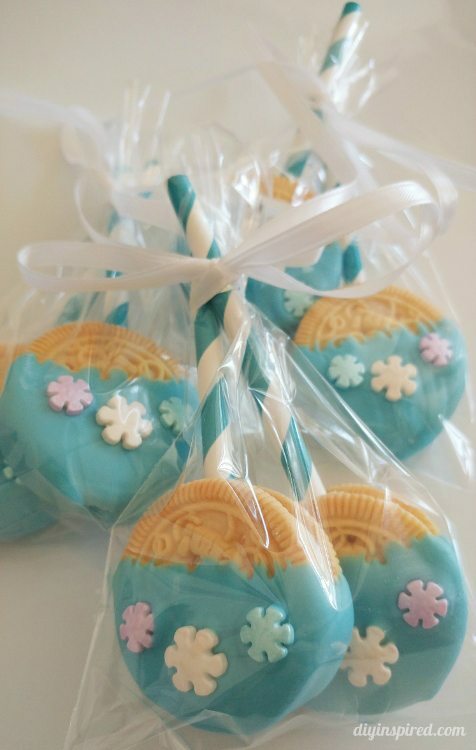 Excited for the holidays, I made these really simple cookie lollipop party favors for my daughter’s friends. 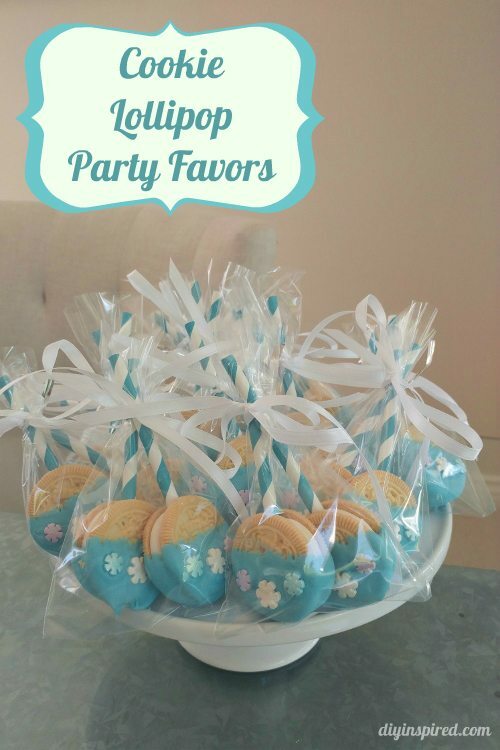 It’s a great family activity that you can do with the kids, or package them up and use them as party favors. Simply change the color combination to fit your party theme. Here is how we made them. Follow the directions to melt the candies. We did it in the microwave in a bowl. We found this was the easiest and quickest way. 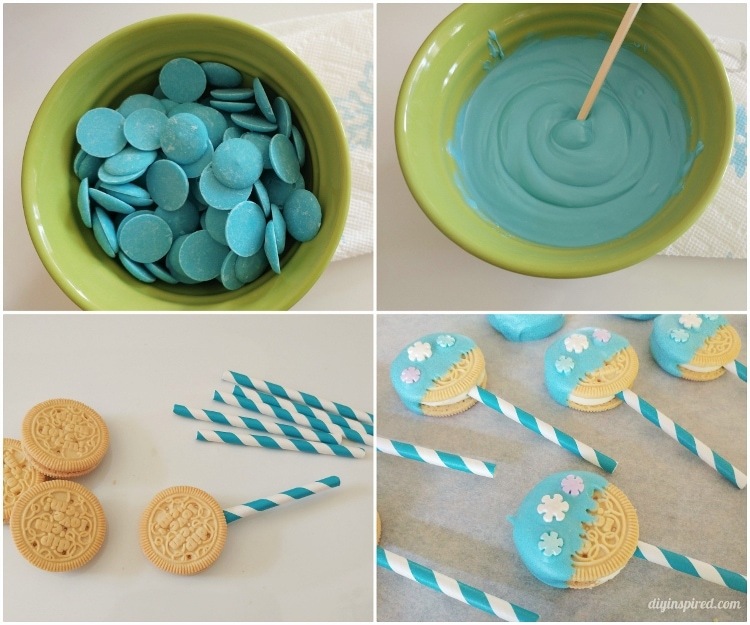 Cut paper straws in half and insert them into the cookie. Dip the cookie into the melted candy and place it on parchment paper to dry. Add sprinkles before the candy dries. I placed them in clear plastic bags and tied ribbon around them. If you’d like, add a gift tag too. We passed them out to Mia’s friends and teammates. 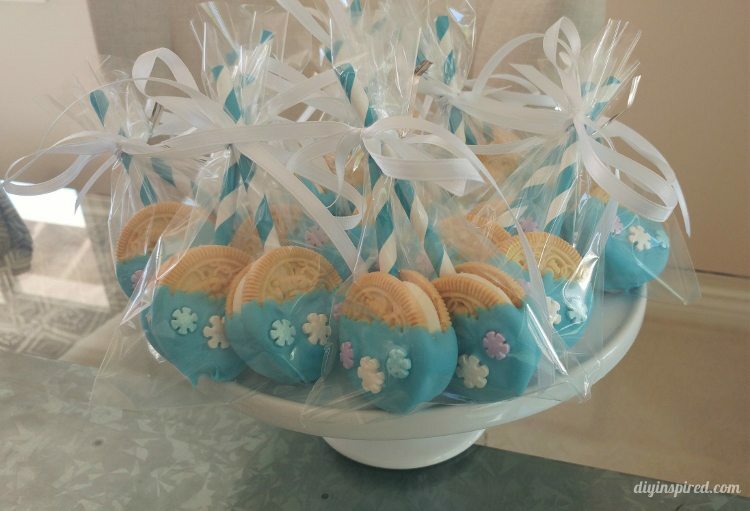 You can make these in a variety of colors to fit your occasion. Mia wanted them “Frozen” themed so we decided on light blue with snowflake sprinkles and blue straws. Make them traditional red and green for Christmas or pink and red for Valentine’s Day. Pass them out to neighbors, teachers, and coaches as well. It’s a great way to share some holiday joy! This looks amazing! I especially liked how you didn’t do the cookies from scratch! Thank you! It’s so much easier this way!